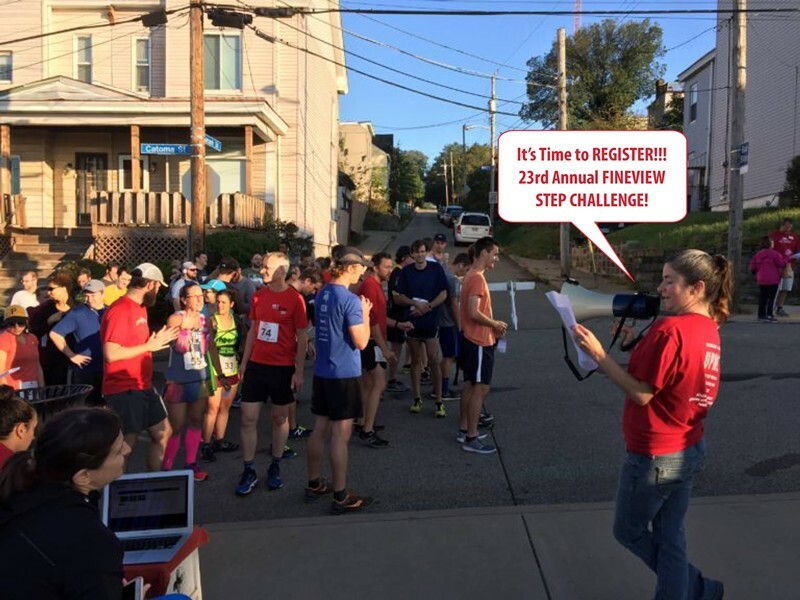 The Fineview Step Challenge is a 5-mile urban step and trail challenge through the Fineview neighborhood, which has an amazing view and easy access to Downtown, sporting and cultural events. Among the steps are Pittsburgh’s STEEPEST stairset (371 steps) on Rising Main Avenue, the equivalent of a 17-story building! The course covers 12 public staircases for a total of over 1,600 steps and provides breathtaking views along the way! This volunteer-run event is a fundraiser for Fineview Citizens Council, the community group for the neighborhood.